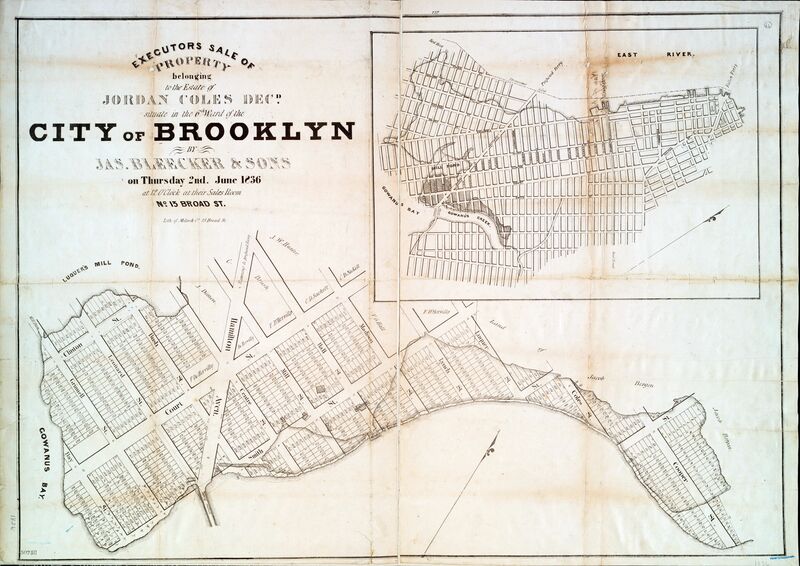 The large Red Hook, Brooklyn estate of Jordan Coles was put up for sale on June 2nd, 1836, following his death. The map shows the Gowanus Creek, before it was turned into a canal; mills and mill ponds; scattered houses and a mansion, not aligned with the projected street bridge; and the Gowanus Bridge. 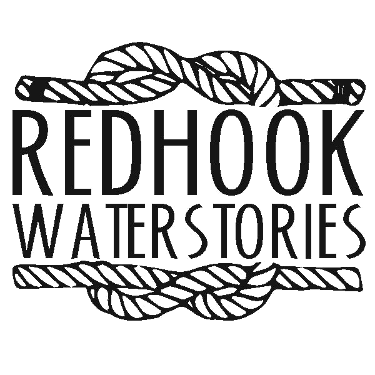 water priveleges are extensive and valuable and their proximity to the seat of business in New York adapts them well to the erection of store houses and a great variety of other purposes. A draw bridge has been completed over Gowanus creek, form Hamilton Avenue... crossing the property to a point on the East River, opposite the South Ferry, at Whitehall st. in New York, between whch point another ferry is contemplated. The South Ferry, now in active operation renders this property of very easy access by Henry st. and Hamilton Avenue, and [offers] the most varied and attractive rides to any point beyond it along the bay or Narrows. The distance from the Merchants' Exchange to Court St, is about one mile and a quarter, or the same as from Exchange to Spring st in New York. On the premises are two frame dwelling houses, out houses and a mill now in operation. This Item is related to Item: 1836 Map of Joradan Coles's Estate showing bridge at end of Hamilton Avenue.